My sister, Amy, bought me a bunch of Easter candy. I immediately planned on using it for baking some treats, but it took awhile to get around to. 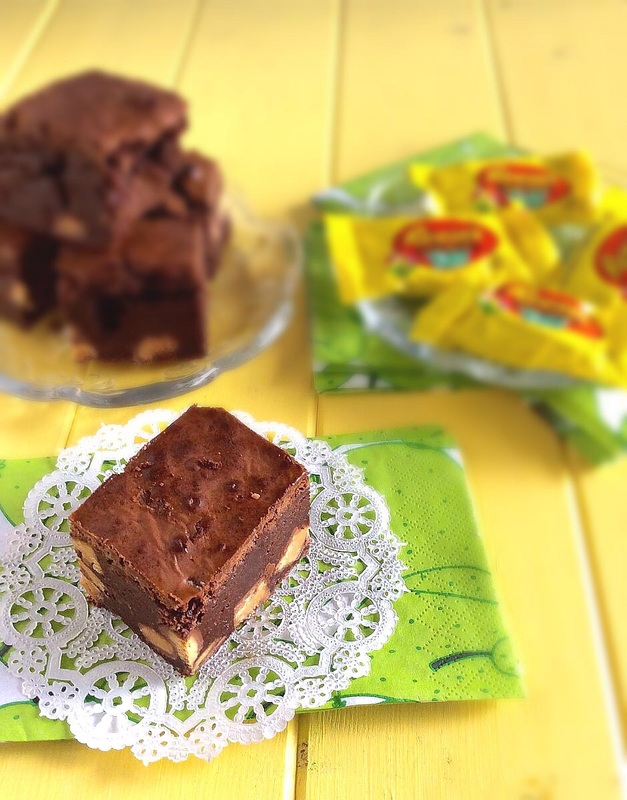 Michael loved these brownies the first time I made them, and I thought that the addition of chopped Reese’s peanut butter eggs would make them even better. It worked! 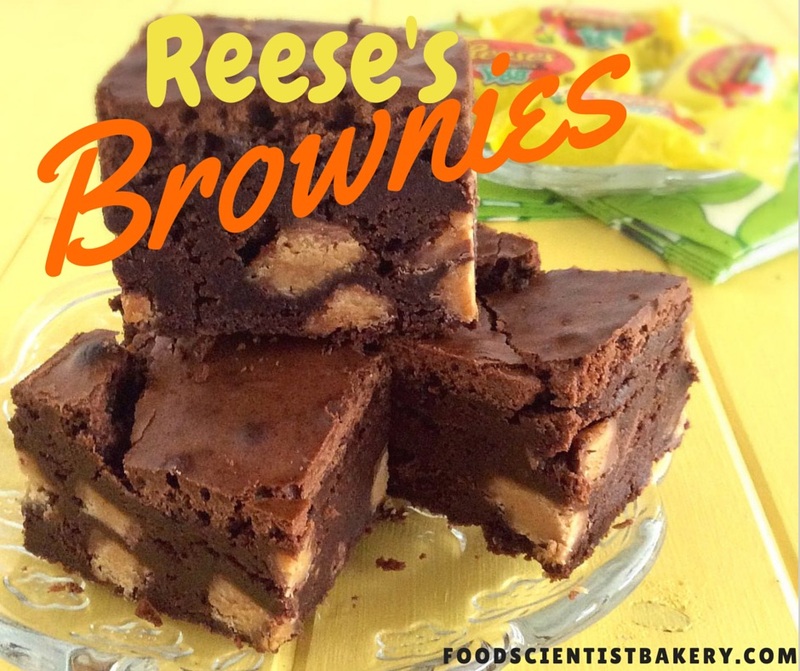 The slight salty flavor of Reese’s went perfectly with the thick, sweet brownies. You could also just chop up some Reese’s cups and get the same results! Even if you choose to throw in something else entirely, like walnuts or dried cherries, this brownie recipe is insanely delicious. It’s chewy, fudgy, and not the least bit dry or crumbly. I’m not sure I’ll ever be able to try another recipe! The crust on top is my favorite part. Actually, the Reese’s bits are. Oh, who am I kidding? It’s all good! Cut them up small and savor the richness! They’ll satisfy all your chocolate needs. Preheat oven to 350°F. Line 8×8-inch pan with foil and spray with nonstick cooking spray. In large bowl, combine chocolate chips, butter, and unsweetened chocolate. Microwave in 30-second intervals, stirring between each, until melted and smooth. Let cool slightly. Use an electric mixer to beat eggs and sugar on medium-high until pale yellow and thick, ~3 minutes. Beat in vanilla. Stir in chocolate mixture. Add flour and fold gently until just combined. Pour into prepared pan. Bake until knife inserted in the middle comes out with moist crumbs still attached (but no raw batter), 40-45 min. Do not overbake. Let cool. Serve at room temperature or chilled. Best stored in fridge. 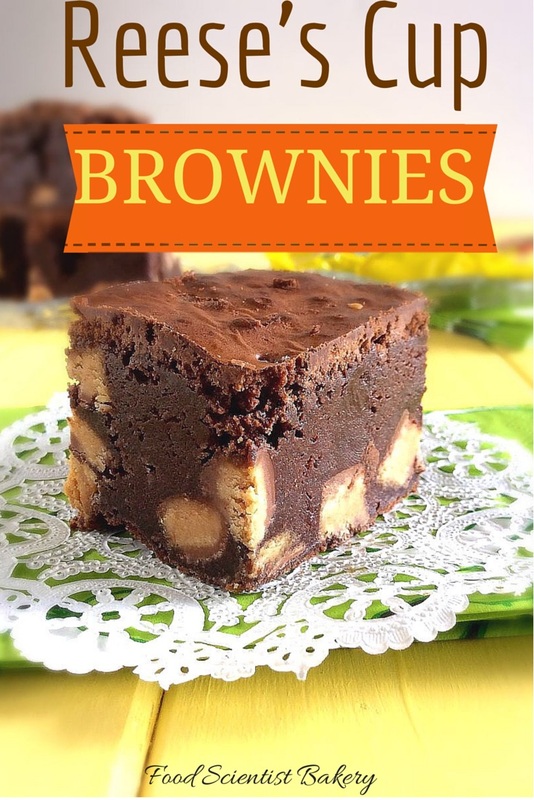 And just when I thought brownies couldn’t get any better, now I’m really in trouble! These look sinfully delicious! Ha, they kind of are! They’re like fudge! They look so rich and decadent!! Yum! They are! Small pieces were the key, and definitely hit the spot! those look SO good! i can never decide what pairs best with chocolate: peanut butter, mint, or caramel……it’s impossible to choose, so i just indulge in each. ha! Yummm! I love peanut butter cups! yes I know! My kids love them too!